There’s no messing with a solid plate electric hob. Solid and dependable the zones are easy to control with adjustable power levels and different sizes to suit your cookware. We’ve even added a high-speed hotplate for rapid boiling and steak frying. 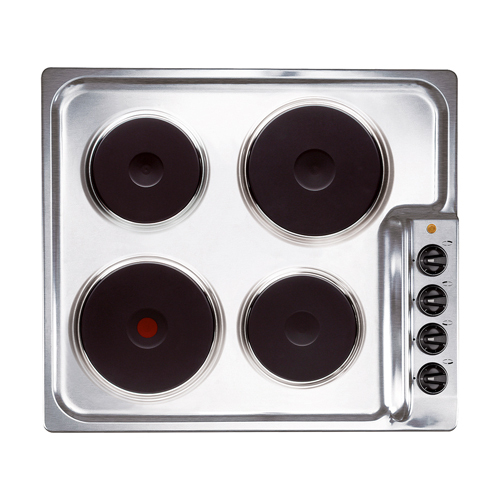 The PG4ES11 is a practical four plate electric hob in stainless steel. The hob has 7 power levels, residual heat indicators for safety and a power indicator light.